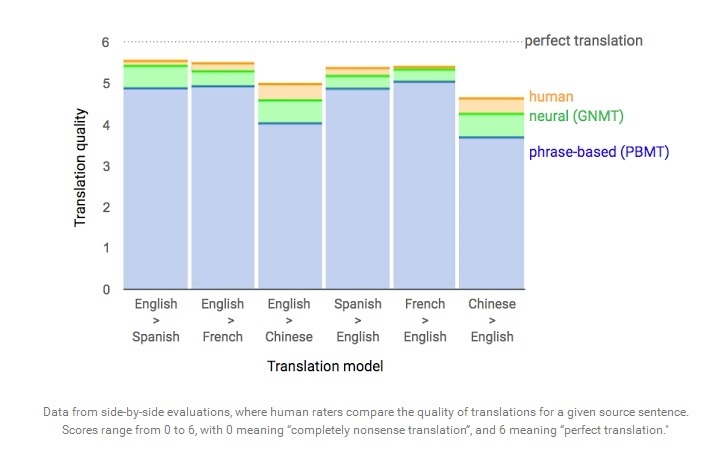 Google announced today a new system of machine translation which, they say, dramatically increases its accuracy. This new system has been uploaded to Google Translate for Chinese-to-English, and I’m eager to have my Chinese English Language Learners try it out tomorrow to let me know what they think of it. I do have to say that based on my very imperfect Spanish, the evaluation of Google Translate’s present ability in Spanish/English translations seems pretty optimistic (a five, with a human translator at five-and-a-half), but I may very well be wrong.